Iain Martin from Skipedia was delighted to be recently shortlisted for ‘Best Online Article’ at the France Montagnes writing awards. 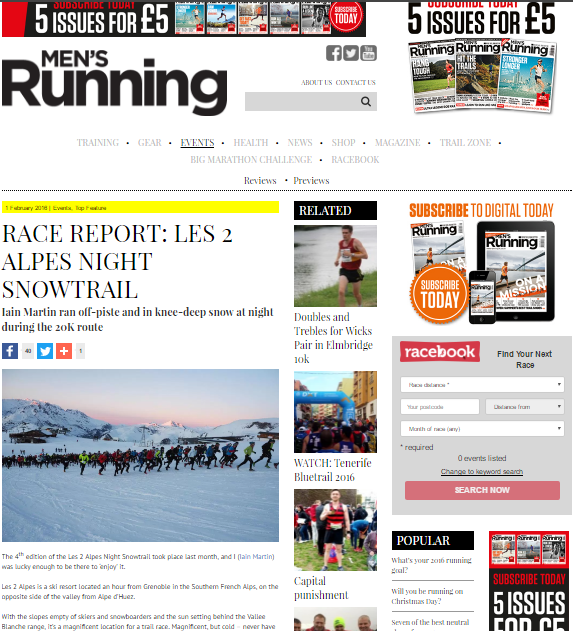 The article in question was Iain’s report from the Les 2 Alpes Night Snowtrail in January 2016. The awards were handed out at the ‘French Winter Launch’ yesterday in London, hosted at The Courthouse Hotel in Shoreditch. At the venue that the Krays stood trial, the final verdict was that the overall best online article was this piece on Les Arcs by the veteran writer Arnie Wilson.